Located about 30 miles from downtown San Diego, California, and 20 miles from the ocean, Escondido is snuggled in a shallow valley surrounded by rocky hills. This modern city is now a popular tourist destination known for its superb wineries, craft breweries, diverse arts and culture, rich history, and spectacular nature. 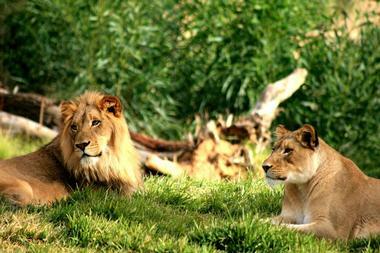 San Diego Zoo Safari Park is a 1,800-acre zoo in San Pasqual Valley near Escondido. 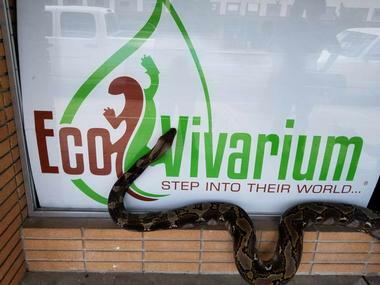 The zoo is home to more than 2,600 animals from over 300 species as well as over 3,500 plant species. The park is located in the semi-arid environment of Southern California. One of its most popular attractions is the Africa Tram, which takes visitors through large African exhibits. The exhibits are free-range enclosures that house animals such as antelope, giraffe, crane, buffalo, and rhinoceros. The park is engaged in the California Condor Recovery Program, breeding condors in an attempt to bring this endangered animal from the brink of extinction. San Diego Zoo functions as a quarantine center for wild animals imported into the USA and it also houses the largest veterinary hospital in the world. Located in Escondido, California, just across the street from Grape Day Park, San Diego Children's Discovery Museum is a cheerful indoor and outdoor museum with interactive, hands-on educational exhibits for children. The museum was created with the goal to inspire children to imagine, explore, and experiment through science, art, and exhibits from cultures of the world. 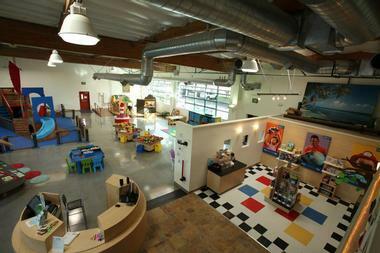 There are four main areas at the museum: Imagine, Explore, Experiment, and Discover. The exhibits change frequently and include things like the Kids Global Village, Toddler Tidepool, Reading Book Nook, Discovery Sail Boat, Magnification Station, Our Town: Careers & Community, a magnetic ball wall, a wind tunnel, Floating Objects, Base Camp: Archaeology, Paleontology, and Geology, an edible garden, a chicken coop, a pollinator garden, an outdoor art studio, the Water Wise exhibit, and others. The California Center for the Arts, Escondido opened in 1994 on a green 12-acre campus in downtown Escondido, next to City Hall and Grape Day Park. The center was designed by Charles Moore, in his interpretation of Southern California architecture, inspired by the area’s Spanish colonial heritage. The center's campus includes a 1,500-seat concert hall, a contemporary art museum, a 400-seat theater, art studios, dance studios, and a conference center with facilities for weddings, corporate gatherings, and other celebrations. 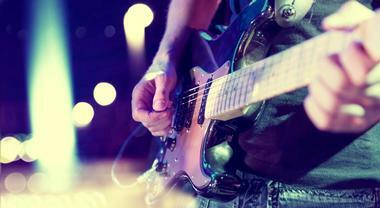 The center also has a rich education program and produces free community events every year, such as the WOW First Wednesdays performances, 4th of July celebration, Jazz Jam Sessions, Day of the Dead Festival, and holiday tree lighting. Located in northern San Diego County, high on top of the west side of Palomar Mountain, Palomar Mountain State Park is a 1,862-acre forested area with massive large pines, firs, cedar trees, and patches of flowering meadows. The park, at the average altitude of 5,000 feet, has a range of hiking trails with various difficulty levels, campsites, a fishing pond full of trout, and spectacular coastal vistas, especially from Boucher Hill Summit with its historic Boucher Hill Fire Lookout. This summit is listed as one of the Sierra Club’s Hundred Peaks. The trails are open for hiking only, and neither dogs nor mountain bikes are allowed. Located in a 12-acre natural habitat within Kit Carson Park and the Iris Sankey Arboretum, Queen Califia’s Magical Circle is a sculpture garden created by French artist Niki de Saint Phalle, the only one of its kind in the US. The garden consists of nine massive scale sculptures, a 400-foot long “snake wall” of varied height, and maze at the entryway. There are also benches and native shrubs and trees in the interior plaza and along the perimeter, which are sculpturally integrated in the garden. The “snake wall” is a wall with a huge playful serpent, decorated in colorful mosaics, on top. There are nine freestanding large sculptures in the garden, and the star of the garden is the sculpture of Queen Califia on the back of a five-legged eagle. The Elfin Forest Recreational Reserve is a 784-acre park and recreational area, one of San Diego County’s most valuable natural resources. The reserve has about 11 miles of hiking, biking and equestrian trails, simple picnic areas, and fascinating mountain viewing spots. The reserve is home to a range of native plant communities such as oak woodland, oak riparian, coastal sage scrub, and chaparral. The reserve has been designed to improve the domestic water supply and natural resource management and to offer various recreational opportunities. Docents and park rangers offer guided tours and exploration programs for students in order to improve environmental awareness and the conservation of local watersheds. Lake Hodges Pedestrian Suspension Bridge is located about 1,000 feet from the I-15 freeway bridge over Lake Hodges in San Diego County. Built for pedestrians and bikers, this stressed ribbon-style bridge is 990 feet long and 12 feet wide and was designed by T.Y. Lin International. 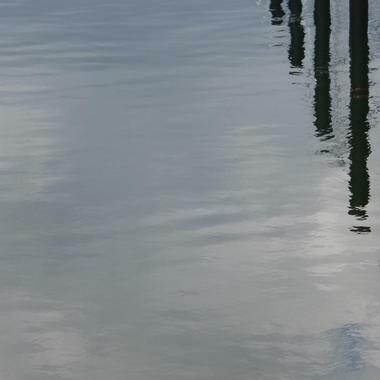 A stressed ribbon-style bridge can have a long span (in this case 330 feet) between piers, what means that only two piers need to be in the lake. In addition, this type of bridge has a narrow profile – it is only 16 inches deep. There are only four other stressed ribbon-style bridges in the entire western hemisphere. How high the bridge is over the water depends on the amount of rainfall in the area. When it rains a lot, the bridge crosses a fast running river, but when it is dry, the riverbed is covered growing weeds in what locals jokingly call that Hodges National Forest. Daley Ranch is a 3,058-acre conservation area established in 1996 by the City of Escondido for the preservation of a diverse and biologically unique habitat of great regional importance. The ranch contains a range of natural plant communities such as oak woodlands, chaparral, coastal sage scrub, grasslands, and riparian plants. Daley Ranch is located at the northeastern edge of Escondido, north of Dixon Lake. The ranch contains an historical red barn known as the Daley Ranch House as well as other outbuildings of historical interest. 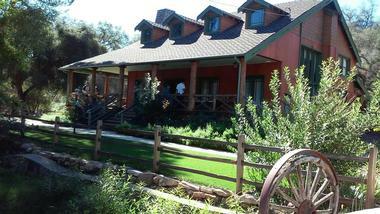 Rangers offer tours of the Ranch House every second Sunday. Visitors can enjoy six distinct trails that total 20 miles in length, suitable for hiking, mountain biking, and horseback riding. San Pasqual Battlefield State Historic Park is a 20-acre park located next to San Diego Zoo Safari Park near Escondido, California. The park was established to honor the soldiers who fought in the bloody 1846 Battle of San Pasqual during the Mexican-American War. The United States troops were commanded by General Stephen Kearny, and the Californio forces by General Andres Pico. The park is a California State Park and a California Historical Landmark and is open only on weekends. A visitors center features displays that describe the history of the San Pasqual Valley, a number of various exhibits, and a movie about the famous battle. 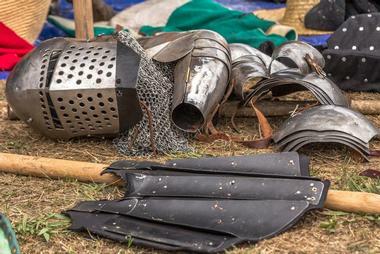 Volunteers from the San Pasqual Battlefield Volunteer Association offer occasional living history presentations. Established in 1967, Kit Carson Park is a spacious 285-acre municipal park in Escondido, California. The park was named after the famous scout Kit Carson, who guided Captain John C. Frémont during his exploration of the Sierra Nevada. The park is located in a valley about 5 miles west of the location of the Battle of San Pasqual. Visitors can see a monument on Mule Hill commemorating the battle, located about 1 mile from the park. Around 100 acres of the park are developed while the rest is left wild as natural habitat. The developed part contains three lakes, hiking trails, the Queen Califia’s Magical Circles sculpture garden, the Iris Sankey Arboretum, the Eucalyptus Leaf Court public art project, the Girl Scouts of America Program Center, picnic areas, a large outdoor amphitheater, a kids’ playground, a covered picnic shelter, courts and fields for tennis, soccer, softball, and baseball. Espinosa Vineyards and Winery occupies a historic area where grapes were first planted in 1893 by William Winn. The first commercial winery was built on the site in 1936 by Lewis and Alta Hart, which was later converted to a machine shop in 1950 and vineyards were left to lay fallow for over 50 years. 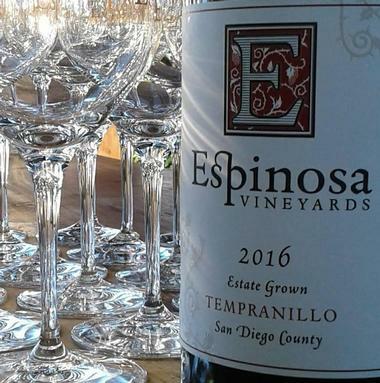 The old winery burned to the ground in the 2007, and Espinosa Vineyards and Winery grew from its ashes in 2008, when the new owners planted their new vineyard. 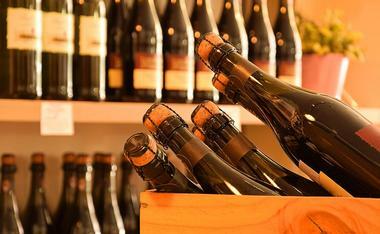 Today, the winery is a small family-owned operation with limited production. They focus on high-quality wines made from fruit grown locally and purchased from other highly regarded California wine regions. They specialize in wine made from grapes native to Spain. Their wines are only available at the winery. 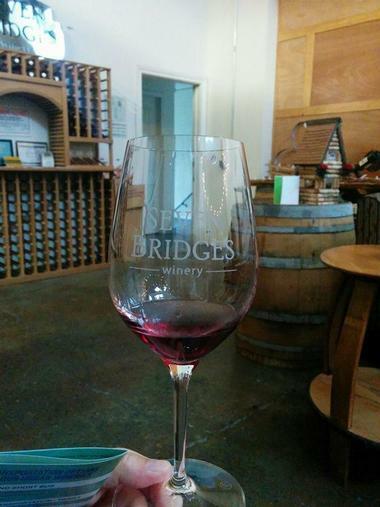 Tasting is offered Fridays, Saturdays, and Sundays, from noon to 5pm. Port Brewing Company is a craft brewery in San Marcos, California, founded in 2006. The brewery also makes beers under the name Lost Abbey Brewing. The brewery has won numerous awards and their Double IPA Hop-15 received silver medals in 2003 and 2005 and a bronze medal in 2008. Port Brewing is considered to be one of the top ten breweries in the country by both industry experts and regular beer drinkers, mostly because of their extraordinary Lost Abbey beers and a collection of more than 1,000 oak bourbon, brandy, sherry, and wine barrels used in their fantastic barrel-aging program. Their spacious tasting room is attached to the production facility and has two bars with 42 taps pouring regular and seasonal releases that change regularly. BK Cellars is an urban winery located in Escondido, in California’s historic Vineyard District. It was the first new winery to open in Escondido in more than 80 years. They produce high-quality wines using grapes supplied by a number of partners from California’s best grape-growing regions. They offer them for tasting in their funky tasting room attached to the production facility. 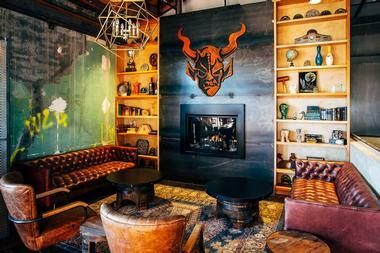 The industrial decor combined with crystal chandeliers and wall-to-wall wine barrels create a unique atmosphere for socializing or impressing a date. Eric Daniel plays piano on Sundays. There are some light snacks, but guests are encouraged to bring their own to enjoy with the wine. The winery also offers wine-blending classes. The Roynon Museum of Earth Sciences and Paleontology in Escondido, California, was established in 2000 with the goal of educating students and the general public about earth sciences. The fairly small museum offers a range of exhibits with dinosaur bones, all sorts of fossils, and more than 1,000 other specimens that have been acquired by Mr. and Mrs. Roynon during their travels through the US throughout the years. They keep adding to the collection every year. For the first 15 years, the museum was completely dedicated to the education of school children, scouts, and community groups and has only recently opened its doors to the general public. The museum or the museum’s classroom can be rented for public or private events. A docent is available at the museum to answer questions about a sequence of life from the Precambrian to the Pleistocene eras, showing real fossils. The museum features exhibits on the physical events in the history of our planet, such as changing climates, plate tectonics, volcanism, and mass extinctions. 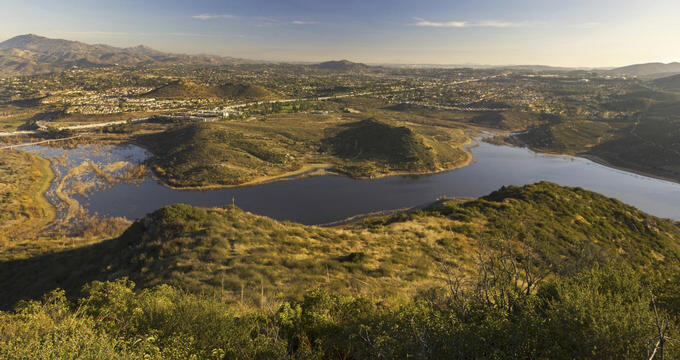 A green jewel, Dixon Lake is a man-made lake in the hills above Escondido that provides locals with plenty of opportunities for great relaxation and exercise. They can fish for trout, catfish, and bass, paddle their boat or rent one, hike, have a picnic, or just relax and enjoy the view. Campsites around Dixon Lake range from small and secluded to large and open with fantastic views of the lake, mountains, or city. The campground is accessible 24 hours and year round. 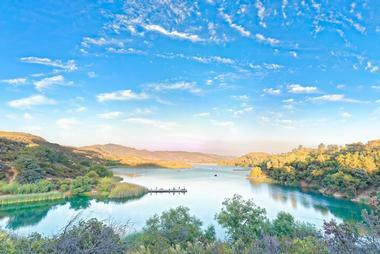 From the Dixon Lake campground there is a network of trails leading around the lake. The park concession store offers boats for rent, a snack bar, and other amenities. Set on 15 acres in Escondido in San Diego's scenic North County is the Deer Park Winery and Auto Museum. It consists of the vineyard, orchards, a lovely shady picnic area, a gift shop, and the largest collection of convertible automobiles and Americana. Start by tasting winery’s award-winning estate wines such as sangiovese, merlot, petite sirah, zinfandel, syrah, California champagne, chardonnay, sauvignon blanc, merlot port, and many others. Then indulge in exploring the Auto Museum, which features hundreds of vehicles and fascinating Americana collections. It has received a trophy of excellence from the Antique Automobile Club of America. Besides a world-famous collection of American convertible cars, the museum also has notable collections of antique bicycles, vintage radios, appliances, tube television sets, cameras, neon dealership signs, classic gas pumps and gas stations, and much more. 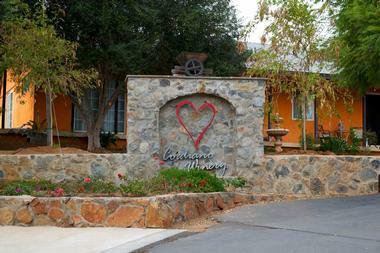 Belle Marie Winery is a family-owned 3.5-acre boutique winery in Escondido, California. Established in 2000, the winery produces about 20 different wines, focusing on red blends. They get the grapes from the best California vineyards as well as from San Diego County and the area towards the Sierra Foothills. Their winery and tasting room are surrounded by lush citrus groves with lovely shaded spots throughout the grounds, perfect for relaxing with a glass of their wine or a picnic. Kids and dogs are allowed as long as they behave well. The beautiful chateau that dominates the landscape hosts winery events such as luxury weddings and other private and corporate celebrations. Established in 1989, San Dieguito River Park is a 92,000-acre greenway in San Diego County, California. The park stretches for 55 miles between the ocean, actually a lagoon between Del Mar and Solana Beach, and the Volcan Mountain Wilderness Preserve near Julian, along the San Dieguito River. 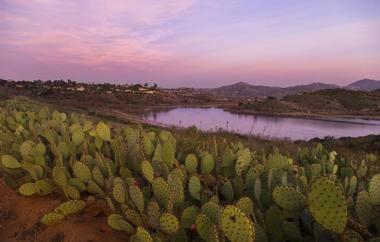 The park has been established to preserve the natural resources of the San Diegito River Valley. It provides great hiking for people, bikers, and horseback riders along the popular 45-mile-long Coast to Crest Trail, which is planned to be extended to 70 miles. 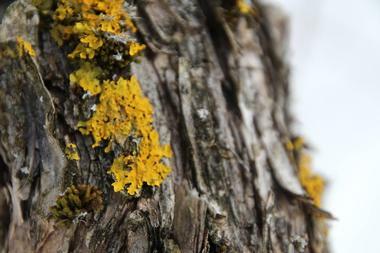 The park is home to about 230 species of birds and other animals that thrive in coastal sage scrub habitat. The San Diego Archaeological Center is a museum that tells the story of the way of life of people in San Diego County for the last 10,000 years through large and carefully curated collections of artifacts. Besides being a museum and a curation facility, the center is also an education and research center. 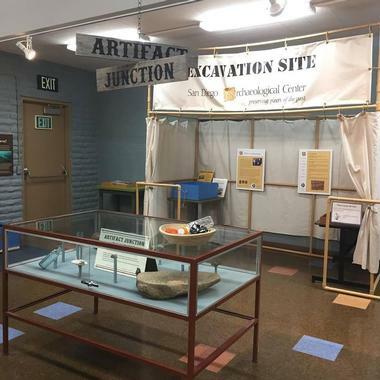 It is the only San Diego organization dedicated solely to the collecting, studying, curating, and exhibiting of archeological artifacts from the area. The exhibits are organized in a range of permanent and temporary exhibitions. The center offers diverse programs for all ages. 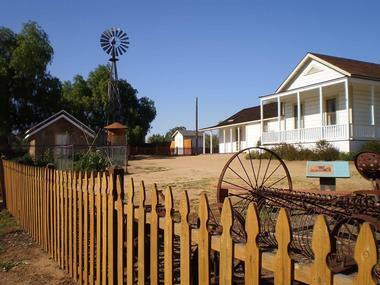 The Sikes Adobe Farmstead is a historic site established around 1870 featuring one of San Diego County’s oldest adobe homes from the American era. The Sikes Adobe Historic Farmstead is an incredible example of San Diego’s rural history and is being preserved as the legacy of Old California. The visitors can learn about the lives of the pioneer settlers in San Diego County after statehood through fascinating historic and interpretive displays. To the east and west of the farmstead extends a network of trails towards Lake Hodges, all the way to the coast, or through San Pasqual Valley. It is easy to imagine the early settlers walking along the same trails as history comes to life. Located on the penthouse level of the Lexus Centre in Escondido, Vintana is an upscale restaurant and wine club that offers an original take on California cuisine together with breathtaking views of Escondido and its surrounds. The wall of glass, comfortable furniture, and a magnificent chandelier create spectacular background for the Vintana’s gourmet meals prepared by Chef Deborah Scott. You might want to try her famous sundried tomato and kalamata olive linguine. The best way to explore all that the chef has to offer is to go for a two-course lunch menu or three-course dinner menu. One of Vintana’s most popular events is Night on the Lanai, with live jazz, blues, acoustics, or R&B played by local musicians every Thursday through Saturday from 6pm to 9pm while you are enjoying your meal and superb wine. Orfila is a small production winery located in the picturesque San Pasqual Valley near Escondido, about 30 minutes from San Diego. 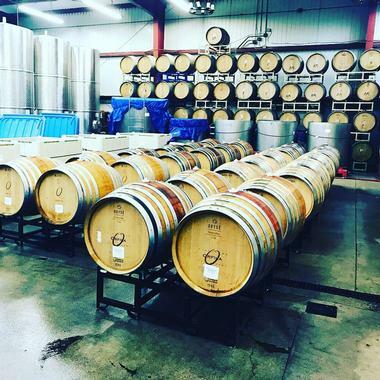 The charming tasting room is packed with barrels and bottles, and the lovely patio outside is shaded by pergolas covered in vines, overlooking the 70-acre estate. Orfila produces widely acclaimed wines with Italian and French grape varietals, including those that originate from the Rhône Valley, Bordeaux, and Burgundy. Their grapes come both from their own vineyard and from Sonoma, San Luis Obispo, and Santa Barbara Counties. Opened in 1994, Orfila Vineyards has received more than 1,000 medals and awards from all over the world. The winery is one of the most popular San Diego venues for weddings, anniversaries, and other celebrations. Founded in 1996, Stone Brewing is the largest craft brewery in Southern California and one of the largest in the country. From a small microbrewery owned and operated by two friends, it grew into the current brewery, employing more than 1,100 people. In addition to its headquarters and brewery in Escondido, California, Stone Brewing also has operations in Richmond, Virginia and in Berlin, Germany. 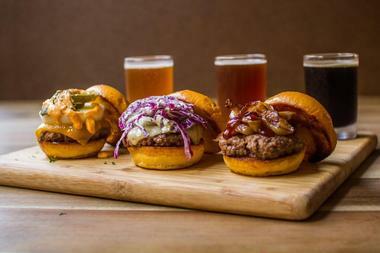 Brewery's Escondido bistro, attached to the brewery, has an American menu of upscale pub grub made of locally purchased, mostly organic ingredients, 36 craft and specialty beers on tap, an indoor fire pit, and a large beer garden with a grassy area for the kids. The nice atmosphere, modern California design, and superb food made Stone Brewing bistro a popular place for a meal and a well-paired beer. High in the hills of the San Pasqual Valley near Escondido is Cordiano Winery, a family-owned and operated vineyard and winery famous for the quality of its wines produced by traditional techniques practiced for ages in the old country. The winery has a unique, wonderfully scenic outdoor wine tasting and dining area, a Tuscan-style terrazza overlooking the hills planted with orderly rows of vines, and a spectacular view of the Highland and San Pasqual Valleys. The winery kitchen is famous for its authentic thin-crust pizzas, fresh salads, and great desserts. Pair your food with wines from their extensive wine list while you are enjoying the fresh air and spectacular views. 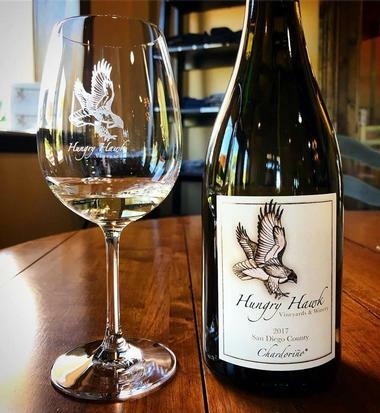 Hungry Hawk is a small, family-run vineyard and winery in the San Pasqual Valley at the outskirts of Escondido, California, occupying a former avocado farm. Since the establishment of the winery, Hungry Hawk has grown to produce about 15 varietals. They offer a tour of the vineyards and the winery as well as wine tasting in their cozy, cool tasting room. You can also sit on the outdoor patio and enjoy not only Hungry Hawk’s wonderful wines but also the breathtaking views of the valley and vineyards spread out in front of you. Regular wine tasting includes tasting five of their wines and a tour of the facility. You can also reserve a private tour with the winemaker. Visitors are encouraged to bring their own picnics.